Aman Russom, professor at KTH's Science for Life Laboratory research center, says that it overcomes challenges that in many cases make lab-on-a-chip too expensive to be of value outside of research labs. 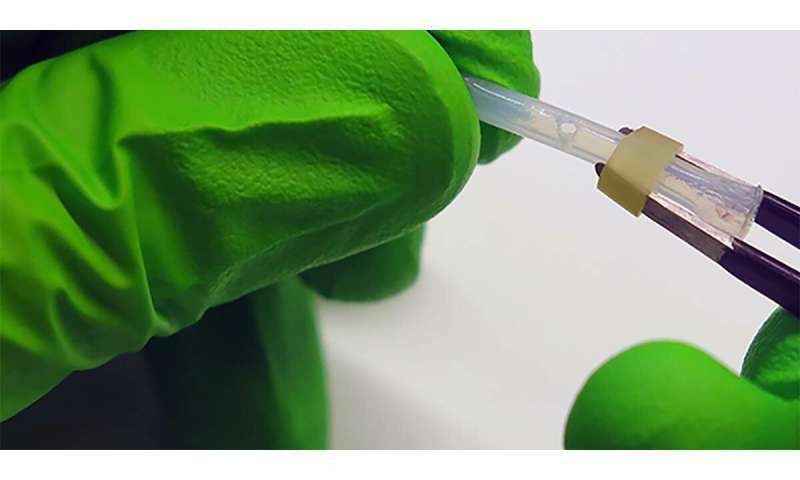 Just as all laboratories rely on storage and dispensing devices, LOC, too, relies on being efficient storage and release of liquids on a chip. Russom says that the system developed at KTH not only solves and automates these two problems, but can also perform other required techniques, such as filtering, separation and mixing different liquids with minor modification. And importantly, it consolidates these functions on a single device, without the multiple mechanical parts and complex components that today's dispensers rely on – and which also are costly to produce. "We have shown that our simplified micro-dispenser performs different operations without sacrificing scalability or compatibility across different fluidic platforms," he says. The simplified dispenser comprises a tube with an aperture that is covered by an elastic membrane. It's activated when the internal pressure becomes greater than the force required to stretch the membrane. Pressure can be exerted by pushing mechanically or from centrifuge spin. When the internal pressure reaches the critical level, the membrane stretches and provides a path for the liquid to discharge. Co-author Amin Kazemzadeh, the researcher who led the development of the device, says the dispenser enables full automation of a variety of clinical tests. 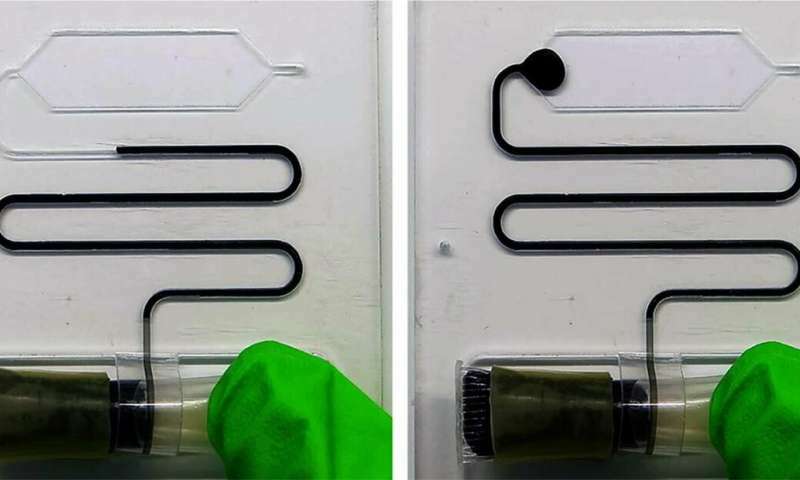 "For the first time, it enables and automates separation of precise amounts of both plasma and red blood cells from a few micro-liters to several milliliters of whole blood in portable rotating lab-on-a-chip or centrifugal devices." He says the device proved accurate in numerous tests with different fluids. "The use of these devices for performing such tests significantly reduces the amount of samples and expensive chemical reagents used, and in many cases, shortens the duration of the test from days to less than an hour," Kazemzadeh says. In blood diagnostic tests, whole blood is most often separated into components. For example, concentrated red cells can be used for measuring hematocrit levels and for patients needing oxygen therapy. Plasma is the most convenient source of proteins, fatty acids, hormones, circulating biomarkers and transport cells that are used for disease diagnostics, including those for cancer and infectious diseases. Russom and Kazemzadeh say their dispenser may also be valuable in other industries by extending the shelf life of beverages, chemicals, cosmetics and medicinal substances, which spoil quickly after their packages are opened. "Our technology allows for dispensing liquids without allowing air to enter the container. Therefore, the liquid inside the containers remains intact even after being used. That extends the shelf-life of the content to the nominal shelf-life of the product."